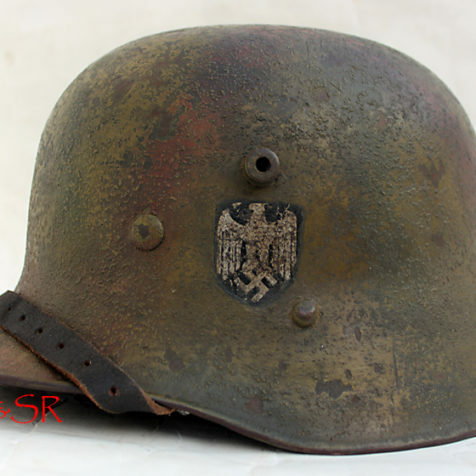 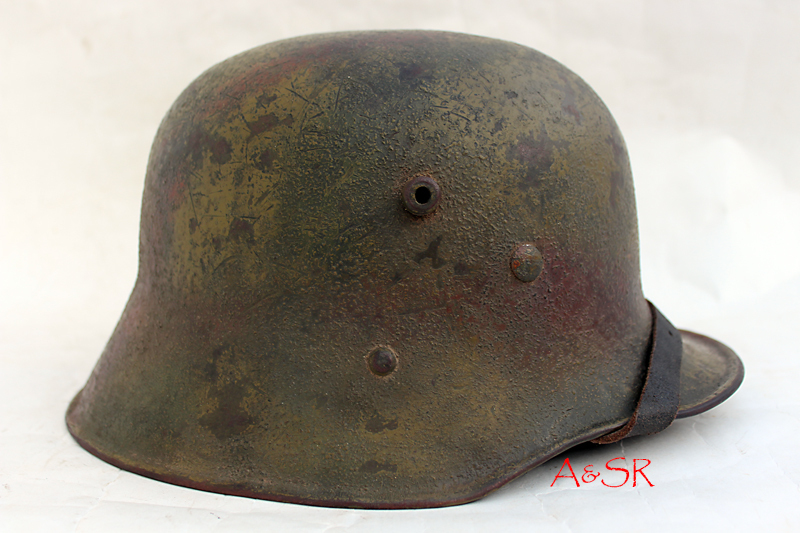 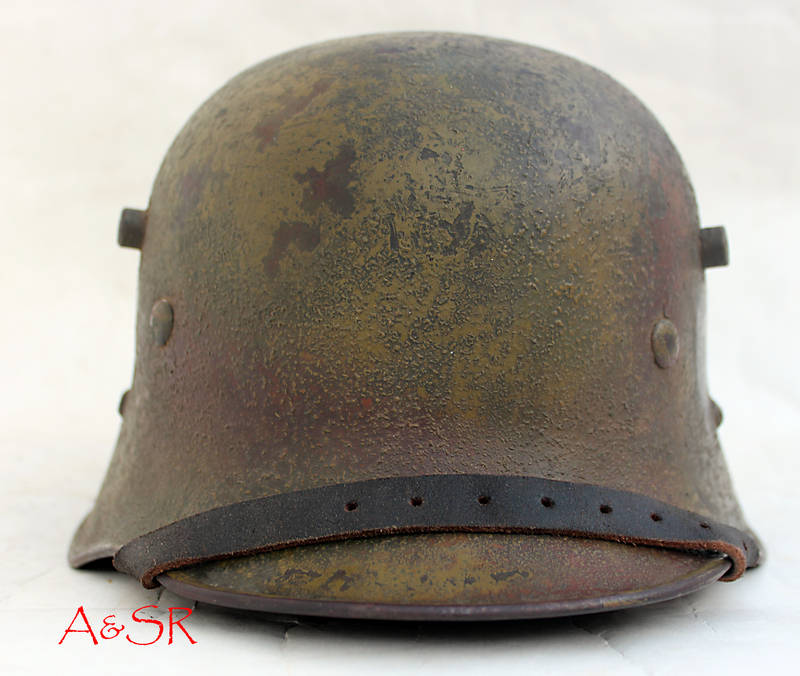 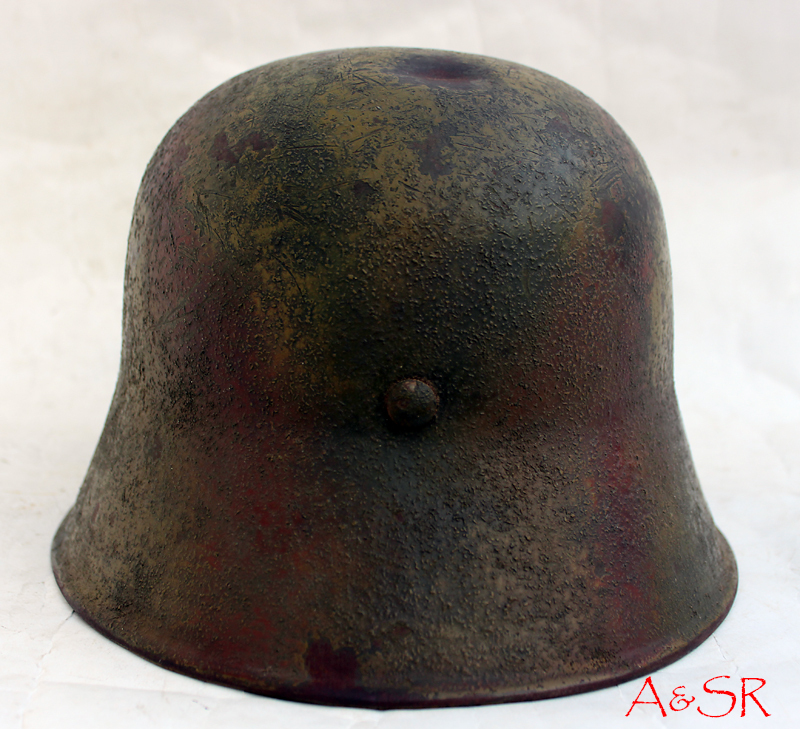 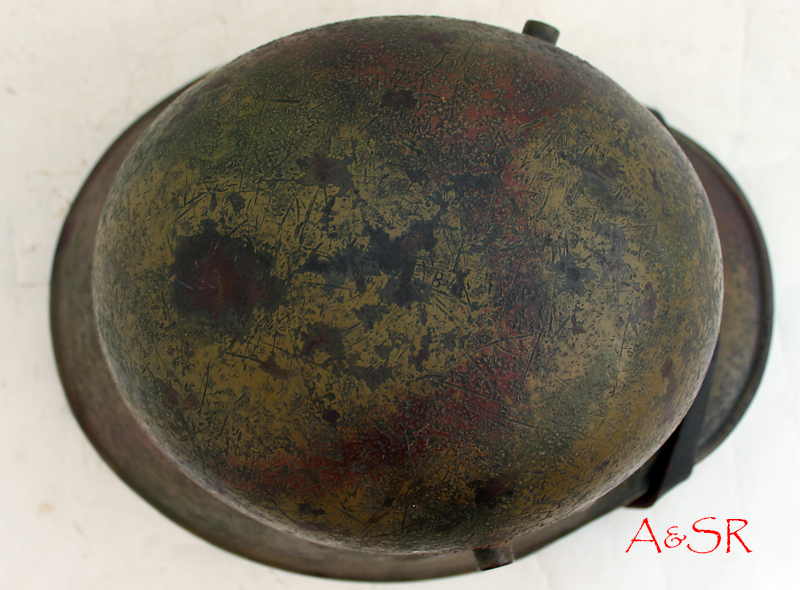 M17 Austrian transitional helmet re-worked to 1940 German specs, with the addition of Normandy Camo. 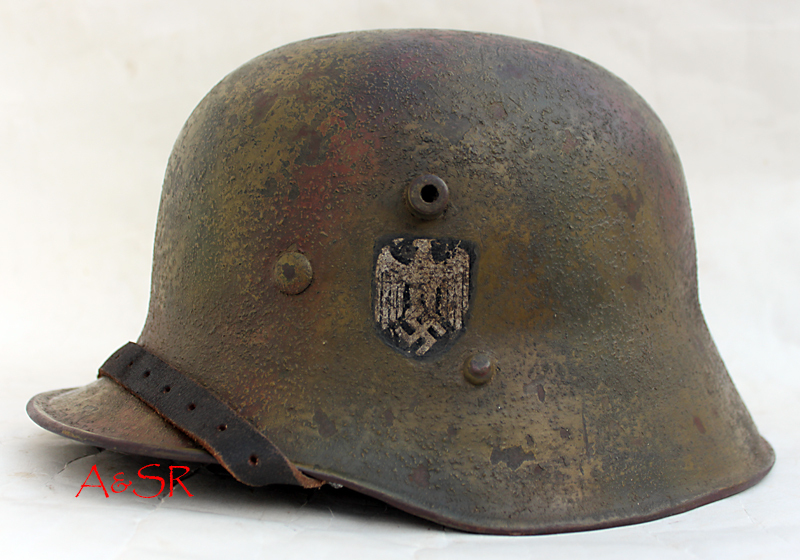 A very small number of originals with this configuration exist. 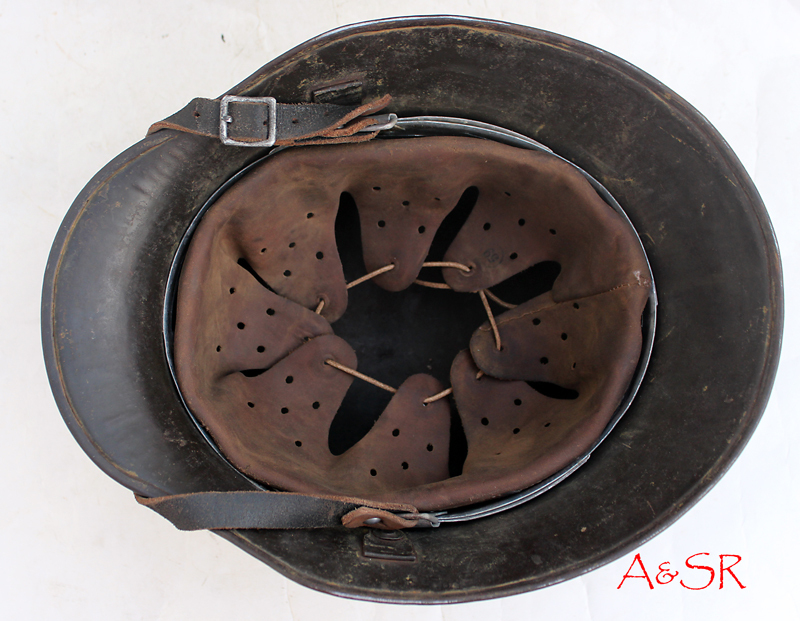 Some were likely worn by either foreign volunteers or rear echelon troops that were sent to the front.